HeartSpace Podcast is a space for meaningful conversations about self-worth - and all the other stuff you want to talk about, but usually don't in your day-to-day life. Like not feeling good enough, fear, body image, intuitive eating, relationships, grief, mental health, and more. 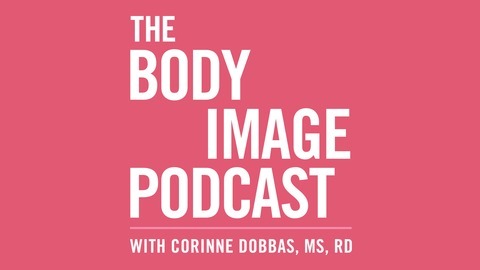 Corinne Dobbas, MS, RD, Non-Diet, Registered Dietitian, Certified Intuitive Eating Counselor, and Food & Body Image Coach, interviews a wide-range of interesting guests (mostly women) to ultimately discover we're not alone. At the heart of the show is the belief that self-acceptance unlocks the door for a healthier, happier, more fulfilled life. HeartSpace listeners believe that the best conversations are the ones that go beneath the surface, inspire, and make you say, "Me too." Victoria Myers, Registered Dietitian and Body Positive Activist, joins me for the concluding episode of HeartSpace Podcast Season 2. 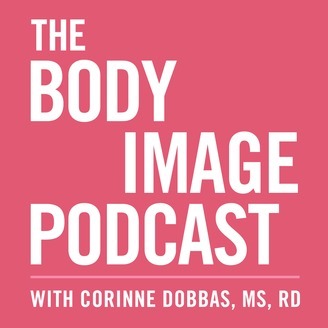 Inside the show, we discuss hormonal imbalances, menstrual cycles, health, and nutrition and how they're all interconnected. We also talk intuitive living, the tie between self-worth and body image, self-care, the importance of detaching from our thoughts and so much more. Enjoy! And be sure to subscribe to the podcast so you can be the first to know when season 3 of the show comes out.